Boho Blends & Boho Bits are Here! I'm beyond thrilled to announce that I've teamed up with Emerald Creek for my latest product line... the Boho Style Collection. This new release includes Boho Blends - eight embossing powders in a variety travel-inspired colors and textures as well as seven different assortments of "Boho Bits" - fabulous crystal and semi-precious gemstone embellishments. Check them out now! For ideas using my new powders and embellishments, check out my first video tutorials using Boho Blends & Boho Bits. I'm incredibly excited to share that I'm an educator at Tinker Tailor Artist Maker - an Eat Cake Create retreat. I've had the pleasure of attending their Art is You retreats as a student on three occasions, so I know how wonderful their events are and I'm thrilled to join the family! I'll be teaching three new, never-before-taught workshops at this amazing new event in Redwood City, CA (just outside of San Francisco.) In addition to my classes, there's a fabulous lineup of over 60 studio sessions with some truly wonderful teachers. I hope you'll join us! Register for "Tinker Tailor Artist Maker"
I'm excited to announce that I'm back for the 4th time as an instructor in CJS. It's only $60 for a full month of inspiration, and all of the videos are downloadable. It's going to be a great start to the year. Sign up Now for Creative JumpStart! I'm thrilled to share the my first full-length online workshop, "Boho Grunge," is now available from StencilGirl Studio! You can see the introduction videos for free, or jump right in and register now. Learn More About "Boho Grunge!" I'm happy to share that I'm an instructor in a year-long art retreat from Mystic Springs Studio called "Art Walk Alchemy." The theme for the year is focused on totems and talismans — those ideas, objects, and emblems that represent something significant in our lives. Learn More about "Art Walk Alchemy"
My hand-drawn stencil designs are inspired by my travels and are perfect for use in your own work! 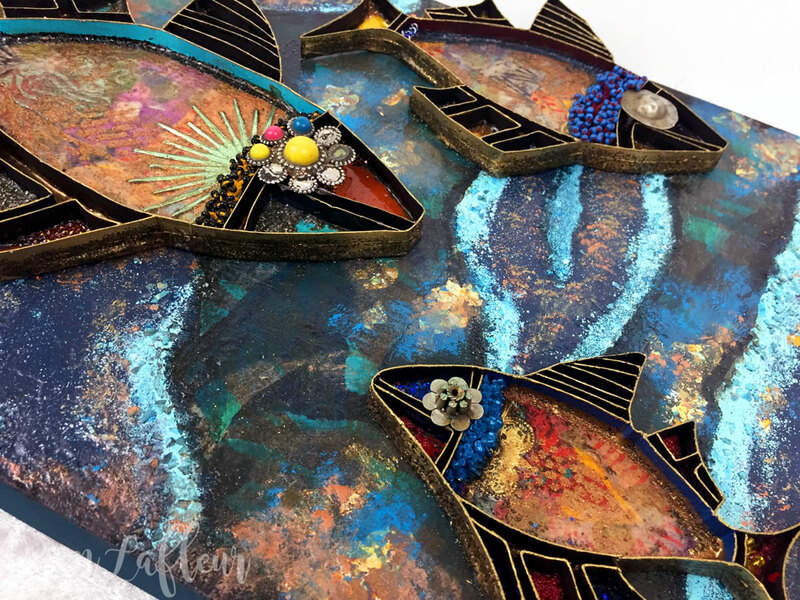 Learn some of my free tips and tricks for making mixed media art and working with stencils. Get the latest on blog posts and projects as well as updates from the shop, information on classes and events, and exclusive coupons!